You can bet that with everything going on my dear mother still found time to make matching pajama pants for all of us again. This year was quite fancy, green polls-dots with striped cuffs. They were a hit and everyone’s fit well, a victory in itself. If you want to see some of the past creations – 2008, 2009, 2010, 2011, 2012. 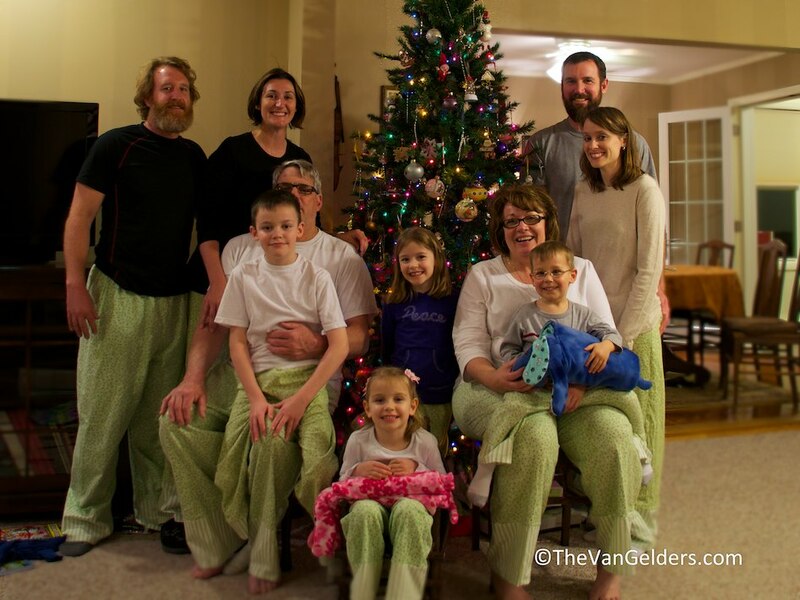 This entry was posted in Seeing Family and tagged Funny Family Photos, Matching Jammie Pants. Bookmark the permalink. You are too kind my dearest Abbie! Love that jammie pants tradition!